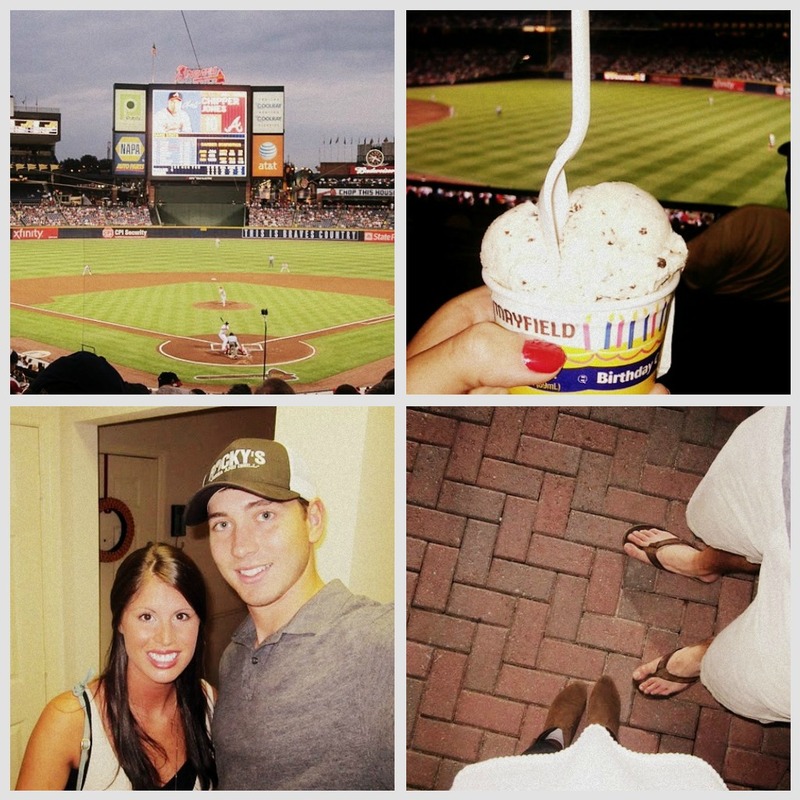 stonebugaboo took me took me to the Atlanta braves game last night. it was a lot of fun to hear him talk about his whole experience. so great to see someones dream become their reality. I know...I agree with Marshall. I don't think you could EVER look bad. GORGEEOUSSS! That evening sounds wonderful! MUAH! I think that's the best thing ever when someone who really appreciates it and is a good person gets called up. this is excitingg!!! it must be so cool watching someone play on a major league team! i love hotels. but the ritz? DAYYUM they know how to represent! I would have been happy just having that icecream! ha. Sounds like fun- I am sure Stone will make it one day! bravessssssssss.... love them. I so miss going to braves games. I was a tomahawk girl once. YEP. Looks so fun! I'm a big Phillies fan :) baseball is a lot more fun when you bf is sitting with you and not out on the field! Found you while bopping around the blogging world and I must say I'm loving your blog! I visited a braves game this past memorial day weekend when my reds were in town and had a blast! Oh that's so great that you were able to actually go to a game together! At least this time you were both on the same side and sitting together. woohooo go Bravos! I miss being able to go to their games! It looks/sounds like you had a great day. And that's super awesome that your boyfriend's roommate is actually on the team! What a wonderful accomplishment! I love this! 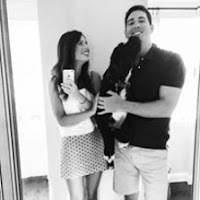 I'm sure I told you but my hubs (who is 15 years older than me) played baseball in college and then went to play pro ball for the Milwaukee Brewers, but then he quit for a GIRL (and no, that girl was NOT me!!) but baseball was a huge part of his life so I can understand how you feel! Good thing we have two boys who can follow in his footsteps!! He actually played in some tournaments the last few years in Phoenix with some ex big leaguers and they won and got these rings and stuff hahaha!! it was fun. you two are SO the cutest btw. SO the cutest.